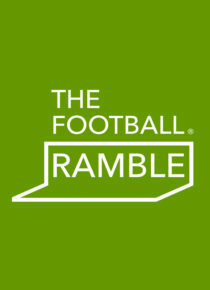 The Football Ramble are back! And they’re going global! Join the gang as they bring their chart-topping podcast to life in a multimedia extravaganza. Expect all your favourites from the show as they cast an eye over the best – and most ridiculous – moments from the footballing circus. Following the UK tour dates, the guys will be taking The Football Ramble Live! across the pond to US and Canada for some special shows in Brooklyn, Manhattan, Chicago and Toronto. Full details of those dates, plus further live shows in Europe, will be announced later this year.